Guild Wars 2 is finally launching on 25 August 2012. The art book has been around since 2010, or was it 2009. It used to be a hardcover edition but the later editions are now softcover. What will be interesting to see is how close the game is to the concept art. I borrowed a copy from Basheer Graphic Books for review. 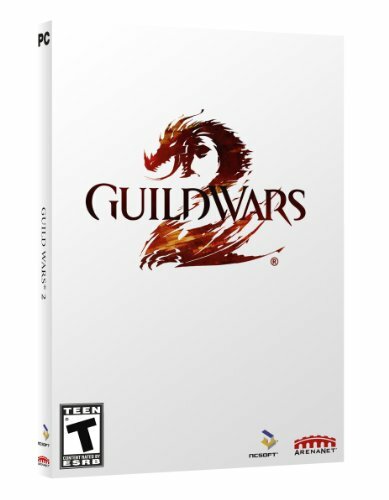 The book is still on sale at guildwars.com for US$24.99. It's a landscape format 128-page paperback. It's loaded with beautifully painted concept art of characters, creatures and environment. It's fantasy art at its best. There are menacing imposing monsters built for warfare, haunting landscapes and surreal environments and out of the world creatures. The art is terrific. Sometimes I wish that games are rendered exactly like this in a more painterly rather than hyper-real manner. Definitely check out their websites for more art. The Art of Guild War 2 is a fantastic concept art book. It's really worth the price. The book is on sale at guildwars.com | ncsoft.com. The book is on sale at guildwars.com, ncsoft.com and Basheer Graphic Books. I bought this when I originally came out in Hardback, it was definitely 2010. Very nice book. Is there still a chance to get this book, except ebay?